If you're looking for a high performance electric vehicle and the 600-700 horsepower that Tesla's Model S provides just isn't enough, your next car may be just down the road. Rimac, a small Croatian auto designer, has an upcoming production car with some eye-popping performance numbers. The Concept Two, C_Two for short, will be one of the fastest production cars ever manufactured with a 0-60 time of just 1.85 seconds. For reference, the newest Tesla Roadster will have a 0-60 time of 1.9 seconds. The C_Two's electronics will be able to deliver 1.4 Megawatts of power at 720 Volts thanks to the nearly 7,000 lithium battery cells packed inside. This translates to a whopping 1,914 horsepower and a top speed of 258 mph. To enable the advertised 403-mile range, the battery pack will have a total capacity of 120kWh. Rimac believes the C_Two will also have the ability to charge to 80 percent in just 30 minutes on their network of charging stations. As much as they love performance, Rimac has also focused on technology in the C_Two. The car will have numerous cameras, a LIDAR system, RADAR emitters, and ultrasonic sensors to allow for what they claim to be Level 4 autonomous driving. Processing all of this data are 72 different control units placed around the vehicle. With this and the help of massive brakes, Rimac hopes to look past the disastrous crash of their original Concept One car. Don't expect to see a Concept Two driving down your neighborhood street though. 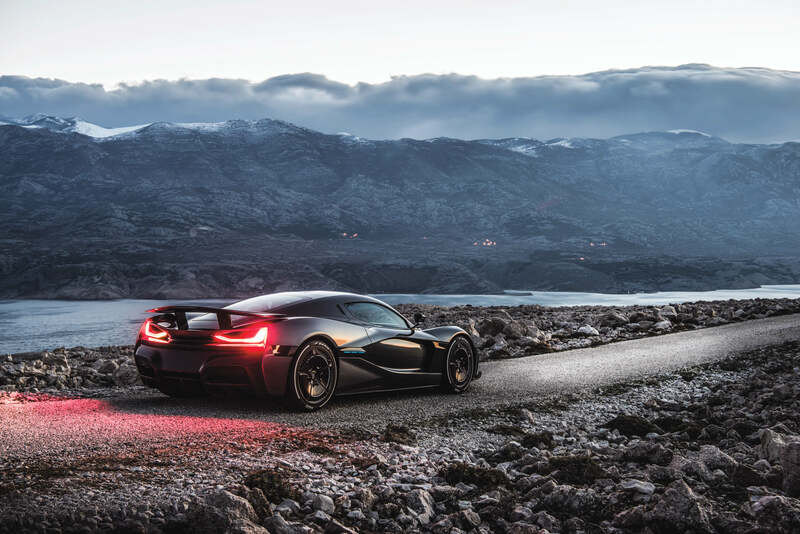 The price will likely be in the seven figures and Rimac only plans to build 150 copies.